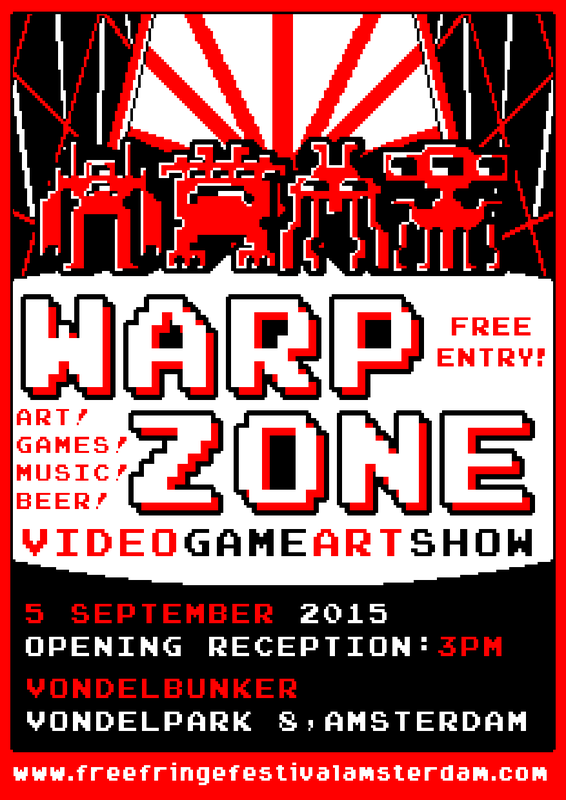 WARP ZONE, the annual art show paying tribute to the wonderful world of video games, is celebrating its third year this September! 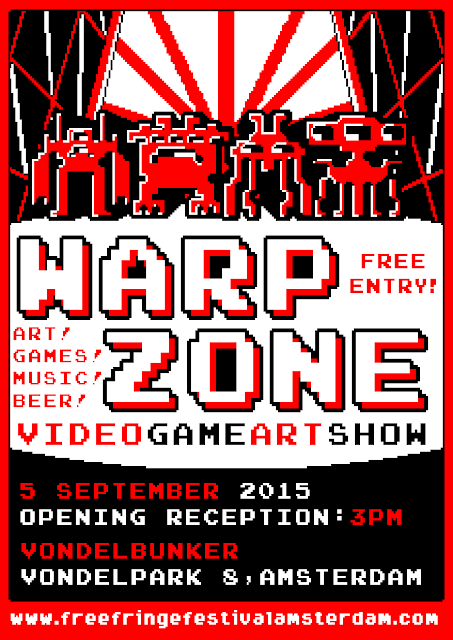 Join us for games, art, chip tunes, good company and beer in the Vondelbunker! The show features a collection of original art pieces by multiple artists celebrating games and gaming culture. Entry is free and most pieces are for sale (support your local artists!). Previous years featured have showcased paintings, pixel art, games, bead art, maps, 3D printed sculptures, music cds, jewelry, shirts and more by a fabulous collection of artists. All proceeds raised at the bar keep the Vondelbunker's doors open. So you can get drunk, AND feel good about yourself for keeping such a fablocation running. If you're looking for a new piece of art to fill the wall of your geek-pad, want to play some unique and quirky games, meet with fellow games enthusiasts and drink beer in the historical Vondelbunker, Warp Zone Art Show is the place to be! This year's Warp Zone Art Show at De Vondelbunker will include the fantastic "Cello Fortress" by Joost van Donge, a unique game experience combining games and a live music performance at 16:00. A cellist defends a fortress by improvising on his cello. Melodies control the guns, dissonant notes activate the flamethrowers. Players from the audience use game controllers to steer their tanks and attack the fortress. 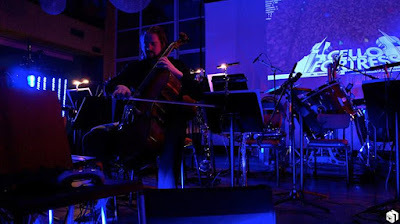 The cellist plays live music, while at the same time controlling the game to be a fun challenge for the players. 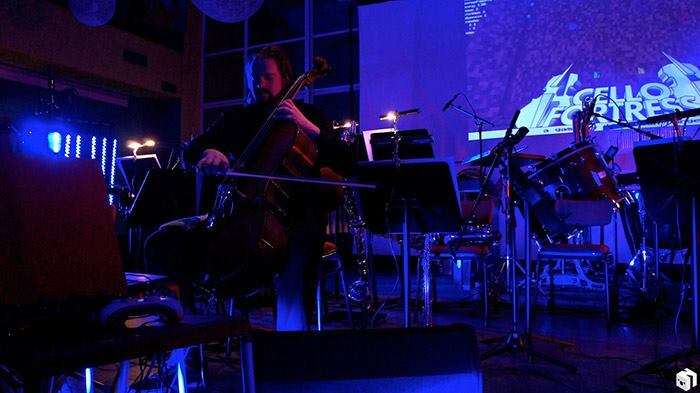 Cello Fortress is an innovative experiment that blends concert and game.